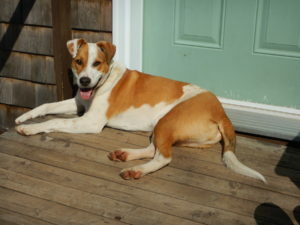 Additional Notes: Trixie is a medium size dog with a short coat that is brown and white. She belongs to my sister, Barbara Clark, no photos are available at the moment. Neighbours have been contacted.